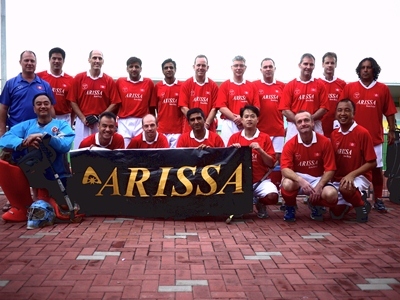 This Singapore Classic was also the 28th International Masters Hockey Tournament. Over 40 teams from 11 countries took part. According to the tournament organizer, over 900 players/officials and some 500 supporters participating in the tournament, making the Singapore Classic one of the biggest hockey tournaments ever organized. Hong Kong was represented in three categories, the Men’s 60s, Men’s 40s and Ladies 35s. The 60s team participated in the inaugural Asia Cup, competing with Korea, Japan and Malaysia. The Ladies team played against Korea, Singapore and Singapore-Dutch in the Junior Masters Championship. The 40s team participated in the Masters Championship and placed in a tough pool containing the two strongest teams of the tournament, i.e. Australia and England, and also the host nation, Singapore. The Ladies and the Men’s 60s came home with runner-up medals. The Men’s 40s beat Ireland in the play off for the 9th place. Though the Men’s 40s did not bring home any medals, they played some good hockey. One of the highlights was the game against the Australian Masters. 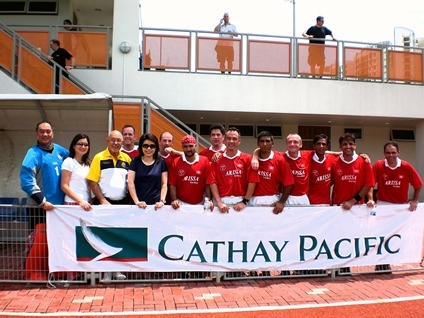 The Hong Kong Masters scored twice. It is worth mentioning that of all the games the Australian Masters played in the tournament, they are only conceded goals in just 2 games. The Hong Kong Masters also defended well in the game with a multitude of great saves.